Japanese gardens can be pretty amazing, especially in the fall when all of the maple leaves turn gold, orange, and yellow. 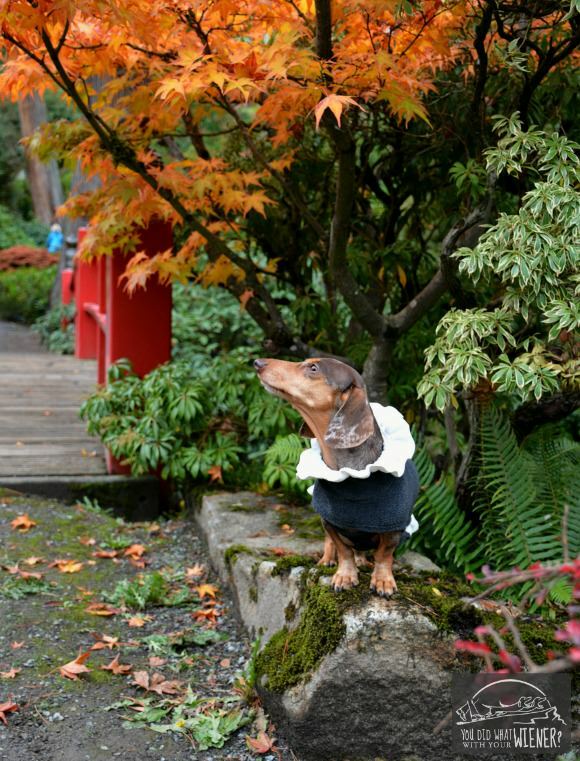 Unfortunately, most Japanese gardens in the Seattle area don’t allow dogs. 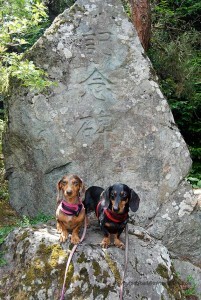 I have discovered one dog-friendly Japanese garden though – the Kubota Gardens. As it turns out, it’s a place that one of our favorite blogs – Dog Jaunt – wrote about several years ago. 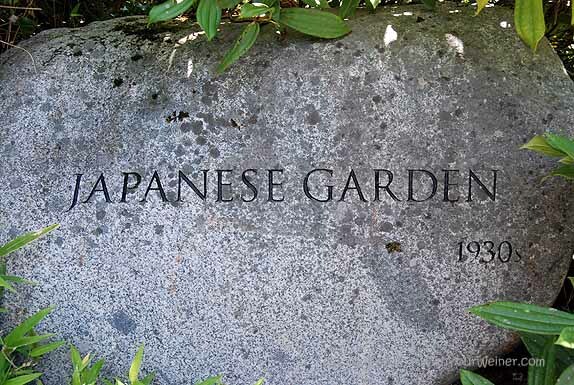 The garden is located about 30-minutes south of downtown Seattle in the Rainier Beach neighborhood. It takes about 30 minutes to get there in light traffic (but beware that it can be over an hour during rush our). 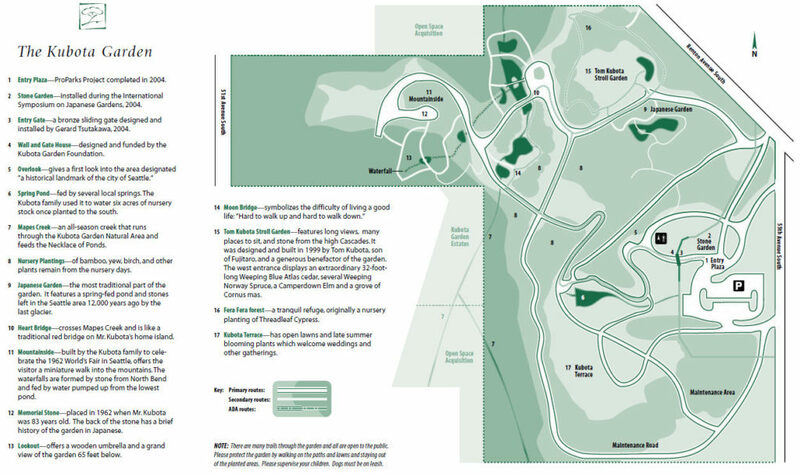 The stunning 20 acre landscape blends Japanese garden concepts with native Northwest plants. Another super awesome thing about this garden is you can get there by bus if you don’t have a car. Well-behaved dogs are allowed on Metro buses so all you have to do it visit the King County Metro Trip Planner, type in your starting address, and enter the garden’s address (9817 55th Avenue South, Seattle, WA 98118). Most bus routes can get you and your pup there within an hour from Downtown Seattle. We love to explore and seek out new places so we met a friend here last week for a stroll and fall photo shoot with the dogs. I have to be honest: this garden is in “South Seattle” (Ok, technically, Renton) which is not the best part of town. I think of this area as very undesirable and kind of sketchy. The photos of the garden looked amazing though, and I was curious about this gem that had been hiding under our noses the whole time, so off we went. I won’t lie – my stereotype about the area was not wrong. I parked on the street and the house across from me was surrounded by a 8-foot wrought iron fence with pointy things on the top. I could see what looked like construction inside the entrance of the park. I found the sign below in the parking lot and there was a police van the size of the RV camped out near the entrance when I was there. Once I was inside it was like I was transported to a different, more pleasant part of the City though. There were nice wide walking paths next to manicured plants and grass and smaller foot trails cris-crossing in between them that made me feel like I was on an actual hike. In the center of this large park was the historic Japanese Garden. The area surrounding the main Japanese garden had some pretty little hidden spots too. By the way… this is our new hiking friend Moo. You’ll be seeing more of her. We hiked the whole park in about an hour and a half, including our little photo breaks. There are plenty of pretty parks closer to home but this one was a nice change from our normal routine. Also, because it’s in a low-elevation urban area, it’s a great alternative to snowy or rainy mountain trails in the winter. Directions: From Seattle, south on I-5 to exit 158 for S Boeing Access Rd. Turn Left (east) at the end of the ramp. The road becomes S Ryan Way after crossing Martin Luther King Jr Way S. Follow that around a bend and turn left (north) on 51st Street/Ave S. In about 100 feet turn right on S Roxbury Street and then take an immediate right onto Renton Ave S. Drive 0.3 miles and turn right onto 55th Ave S. The parking lot is on your right. Note: it can fill up so you might need to park along Renton Ave S.
Pretty Park – that bridge is pretty neat. Good for you for getting out an exploring. We tend to get a little lazy and do the same hikes over and over. I try to mix it up, but maybe should make it a weekly routine like you’re doing. I fall into that trap too. It’s like driving the same route because you are familiar with it even though it might not be the shortest. To keep me motivated with my walks, I feel like there has to be ONE thing different each time – a route, a new piece of gear or equipment to try, a new person, a new challenge (faster, etc). That does look nice, and how fun you could walk there with the dogs. So many places like that won’t allow the four legged type. Yes. I am going to keep looking to see if there are other dog-friendly gardens around Seattle. I know there is a great demonstration rose garden up by our house but it’s not big enough to hike around in and get exercise. I love finding hidden gems close to home! I love that little bridge! Beautiful garden! I love finding unexpected surprises. 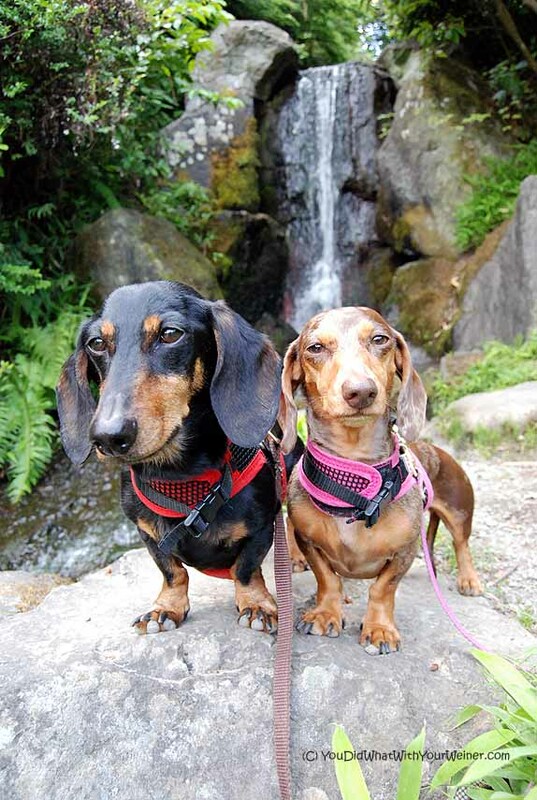 And, the picture of the two in front of the waterfall is great. They look like they enjoyed themselves! That’s a beautiful garden, so nice and shady, and it’s great that dogs are allowed…Good find! I WOULD actually go there again, despite the drive and the neighborhood. I am thinking of hosting a walk there for our Adventureweiner Club. What a great discovery. I could spend hours walking through that. We love variety too! We all have so much more energy when we find a new place to explore. At least with those two viscous Wiener Dogs along you did not have to worry about the crime in the area! Super cute photos. Mom says it reminds her of Japan, funny since it is a Japanese Garden, Mom! She used to fly there all the time, now she just misses the food sometimes. It’s fun to find new challenges to keep us motivated…plus it forces us to explore the City and region we live in. It’s easy to get stuck in your neighborhood. Ha, never went to Renton much – but the garden looks beautiful. It’s beautiful! 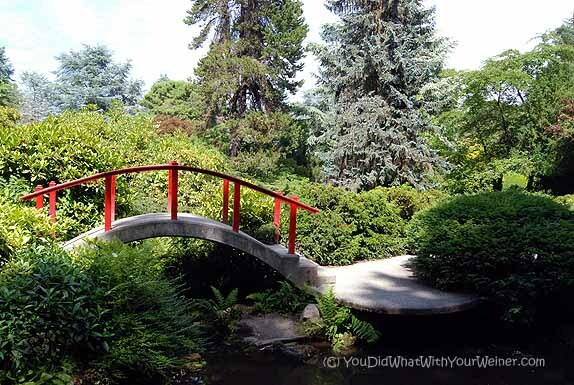 I visited a Japanese Garden several years ago near the zoo in San Antonio and loved it! Your pictures turned out great as well. Love the photos and that looks like a lot of fun, too! That looks like a fantastic park! Most of our parks have signs like that in the parking lot, but they seem to be more of a way to show the park isn’t liable for anything that might happen to your vehicle–we’ve never had any problems in places with signs like that (but maybe the highly visible layer of dog hair people see through the windows lets them know there’s nothing desirable in our car anyway!). Lovely and peaceful. I wish the botanic gardens in Denver allowed dogs as their Japanese Garden is very serene. Definitely going to make a trip there. Also, every time I see Gretel in her ruffled collar, I think of Ruth Bader Ginsberg! Justice Gretel. It has a nice ring to it. Hi Jessica, Chester, Gretel & Moo! The gardens look amazing & what a wonderful experience it sounds like you all had. My Basset Hound housemate would really enjoy walks in that garden & hopes that our human takes her for a visit sometime soon. We live in the Pacific Northwest. So nice to find your blog & congratulations for your blog being a BlogPaws Nose-to-Nose “Best Pet Blog Design” Award Finalist! Mew Mew! Woof Woof! Thank you. Nice to “meet” you. 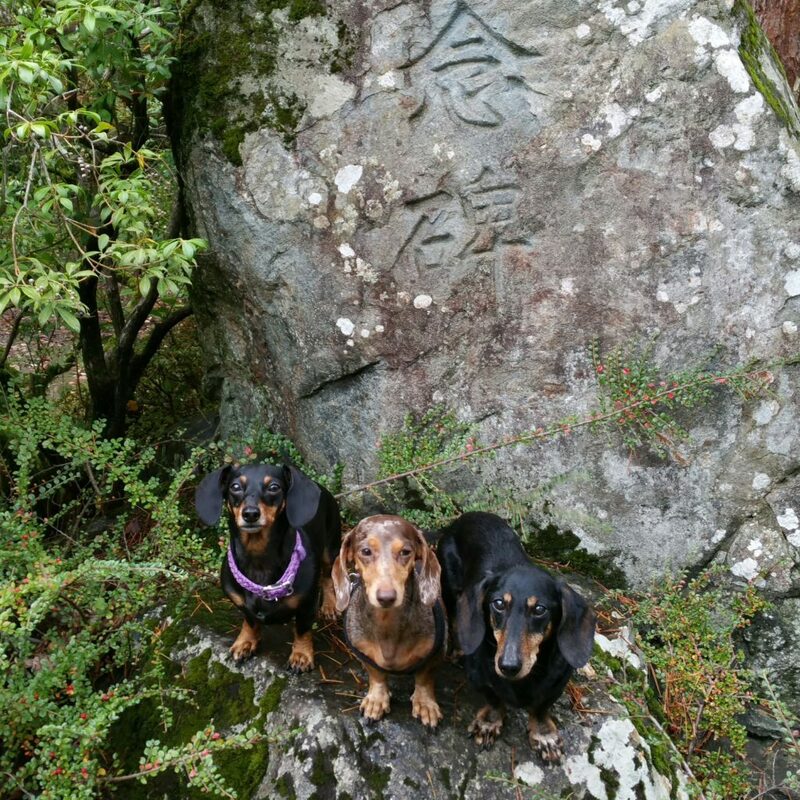 Does your doggy housemate hike? I have a lot of northwest trail features under “Hike with your dog”. I don’t live in the south end but wonder why you are so quick to judge the neighborhood. Modest-looking homes don’t mean scary people and high fences also do not mean high crime. Maybe they have a tall dog? Rainier Beach has so much going for it, so much vibrancy, diversity, and community spirit. I’ve lived in the Seattle area my whole life and I know the reputation Renton has for having a “high” crime rate (in actuality, not likely higer than the average but higher than the low-crime areas). Still, I wouldn’t assume the generality applied to every neighborhood. 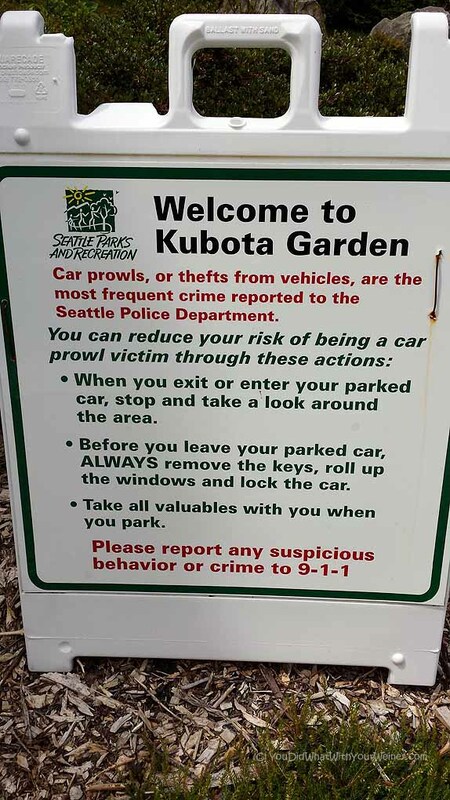 However, the sign in the parking lot about the high frequency of break-ins occuring there needed no “judgement” to decipher. The tall spikey fence across the street was a visual confirmation that the sign was right (crime was an issue there).So are the frequent sightings of police cars parked there for surveillance. It’s a very nice park though and I feel safe leaving my car there for a couple hours in the middle of the day.